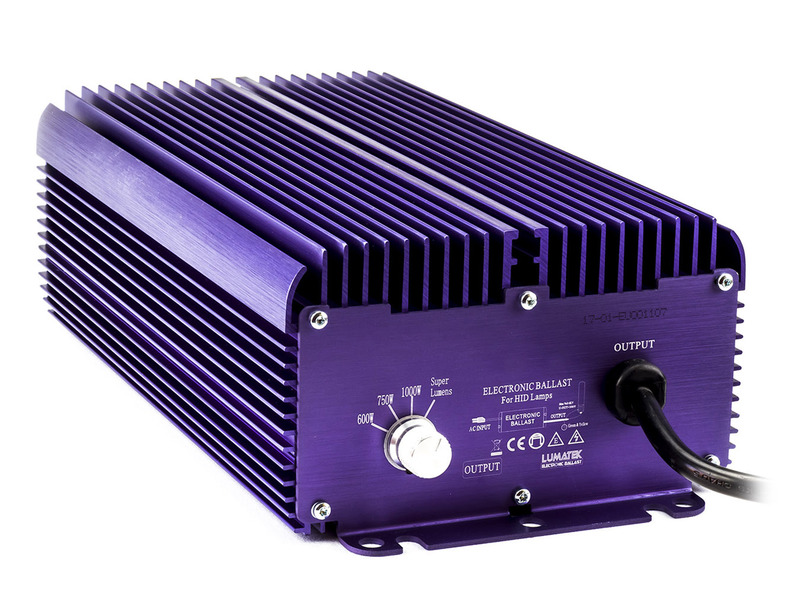 Introducing the amazing new 1000W Lumatek Digital Ballast. This state of the art digital lighting ballast is one of the most powerful and reliable digital ballasts currently available today. With 30% more lumens than a standard magnetic ballast, the Lumatek 1000w actually uses far less energy too - making it more economic to run and giving higher yields than previously possible. Featuring 4 different settings, including Super Lumens boost - the Lumatek 1000w Digital Ballast can be used progressively to give the optimum performance for each stage of your grow and can be used with both high pressure sodium or metal halide lamps. This fantastic Dimmable Digital Ballast is so reliable it comes with an amazing 5 year guarantee and for safety uses full circuit protection including open/short circuit, over temperature, over/low voltage, end of lamp life/rectification and EMI suppression. 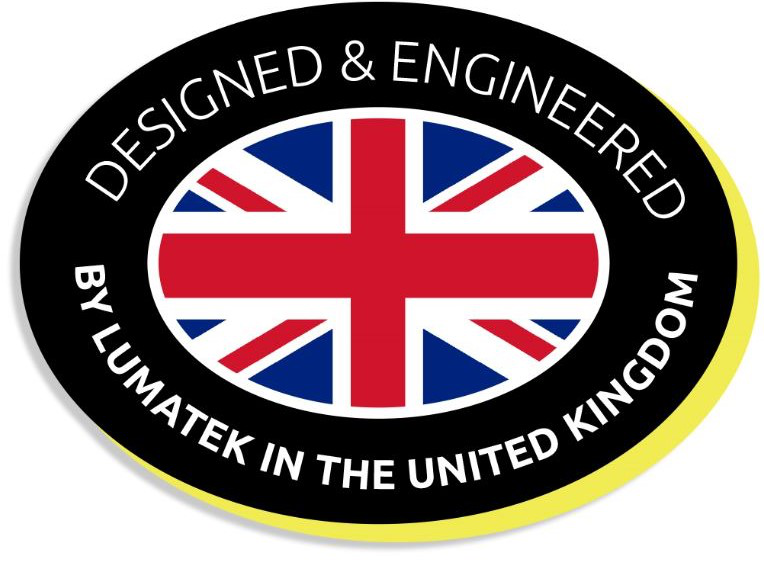 The Lumatek 1000W also features a fast start up facility and generates much less heat than other conventional ballasts. 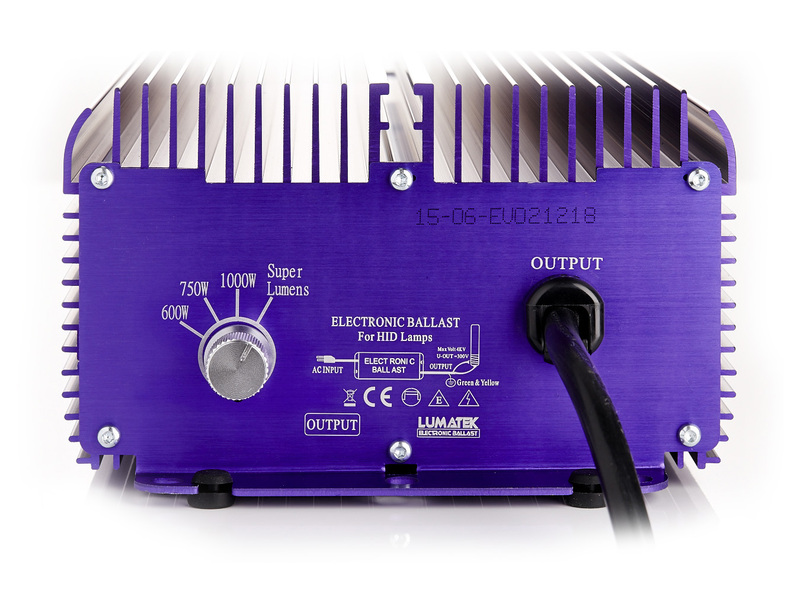 Enjoy longer bulb-life too with this high capacity digital ballast, as the Lumatek 1000w is incredibly stable and reliable, ensuring unbeatable grow room results. To light a 600W lamp; set control to 600W. To light a 750W lamp; set control to 750W and dim down to 600W. To light a 1000W lamp; set control to 1000W and boost output by 10% by switching to 'Super Lumens' or dim down to 750W or 600W.